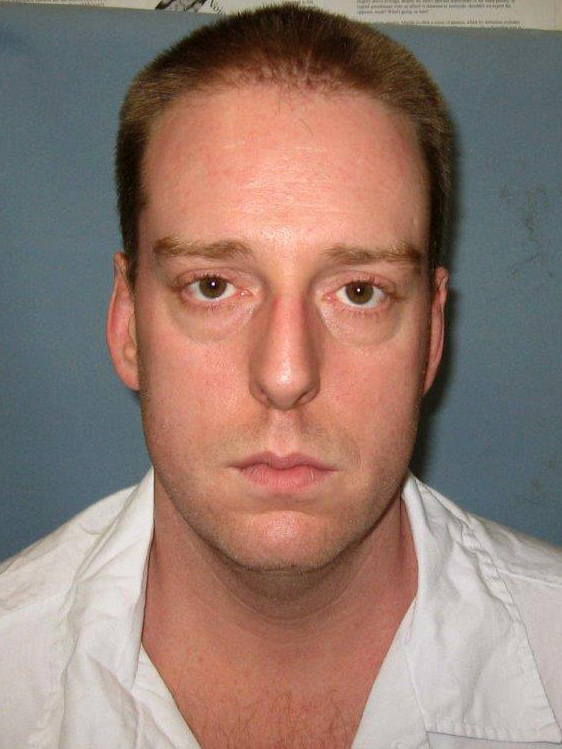 Alabama Inmate Coughed, Heaved For About 13 Minutes During Execution : The Two-Way Ronald Bert Smith Jr. died by lethal injection late Thursday night, after the U.S. Supreme Court declined to stay his execution. A judge sentenced Smith to die for murdering a man in 1994. The lethal injection chamber at Holman Correctional Facility in Atmore, Ala., as seen in 2002. An Alabama man convicted of murdering a convenience store clerk in 1994 was put to death by lethal injection on Thursday night, hours after the U.S. Supreme Court declined to stay the execution and amid ongoing legal challenges to the state's lethal injection protocol. Ronald Bert Smith Jr. had been on Alabama's death row since 1995, when he was convicted of murdering Casey Wilson, a convenience store clerk, during a robbery. The execution took place late Thursday night local time at the Holman Correctional Facility in Atmore, Ala. Multiple journalists who witnessed the execution, including reporters from The Associated Press and The Birmingham News, reported it took about 34 minutes for Smith to die. "During 13 minutes of the execution, from about 10:34 to 10:47, Smith appeared to be struggling for breath and heaved and coughed and clenched his left fist after apparently being administered the first drug in the three-drug combination. At times his left eye also appeared to be slightly open. "A Department of Corrections captain performed two consciousness checks before they proceeded with administering the next two drugs to stop his breathing and heart. "The consciousness tests consist of the corrections officer calling out Smith's name, brushing his eyebrows back, and pinching him under his left arm. "Smith continued to heave, gasp and cough after the first test was performed at 10:37 p.m. and again at 10:47 p.m.. After the second one, Smith's right arm and hand moved." An undated photo provided by the Alabama Department of Corrections shows Ronald Bert Smith Jr.. In an interview with NPR, Faulk described Smith's breathing as "kind of a guppy-out-of-water gasping." "Of three lethal injections I have witnessed, that was the first time I've seen an inmate make movements like that," Faulk said. The Associated Press and other news outlets initially reported Smith moved his arm only after the first consciousness test, as we reported, and later updated its report to include witnesses who said Smith moved his arm after both tests. The state prison commissioner told the AP he didn't see any reaction to the tests. "We do know we followed our protocol. We are absolutely convinced of that," said Alabama Corrections Commissioner Jeff Dunn. "There will be an autopsy that will be done on Mr. Smith and if there were any irregularities those will hopefully be shown or born out in the autopsy. I think the question is probably better left to the medical experts." Dunn did not specify when results of the autopsy would be available. Smith was executed using three drugs, the first of which was a sedative called midazolam. In 2015, the U.S. Supreme Court upheld the drug's use in executions in a 5-4 decision, as The Two-Way reported, after a group of Oklahoma death row inmates argued it amounted to cruel and unusual punishment because the drug did not reliably render an inmate unconscious. In a dissenting opinion, Justice Sonia Sotomayor wrote the decision "leaves petitioners exposed to what may well be the chemical equivalent of being burned at the stake." 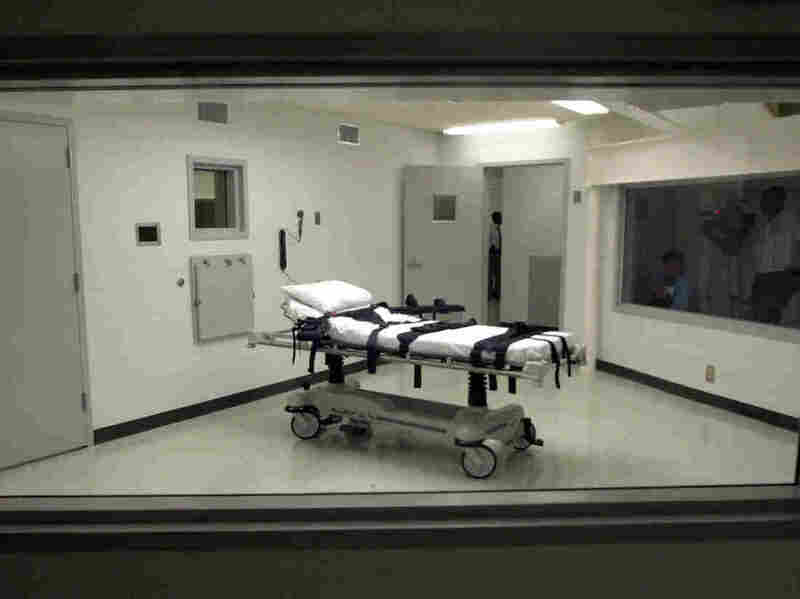 This fall, Smith and other Alabama death row plaintiffs unsuccessfully argued that midazolam was an unreliable sedative and could cause them to feel pain, citing its use in problematic executions including the botched execution of an Oklahoma man in 2014. A federal judge dismissed the case in November. In October, Ohio announced it intended to resume executions using a three-drug cocktail that includes midazolam, as we reported. According to the Death Penalty Information Center, the state has eight executions scheduled to go forward in 2017. The circumstances under which Smith was sentenced to die also have been challenged in court. The jury in the 1995 case recommended a life sentence without parole for Smith by a vote of 7 to 5, according to court documents. But the judge overseeing the trial overrode that recommendation and sentenced Smith to death. Smith's attorney's petitioned the U.S. Supreme Court to stay his execution on the grounds that the judicial override was unjust. As of this year, Alabama is the only state that allows such overrides of jury decisions in death penalty cases, according to AL.com. "In the last decade, Alabama has been the only State in which judges have imposed the death penalty in the face of contrary jury verdicts. "Eighteen years have passed since we last considered Alabama's capital sentencing scheme, and much has changed since then. Today, Alabama stands alone: No other State condemns prisoners to death despite the considered judgment rendered by a cross-section of its citizens that the defendant ought to live." But the eight justices declined to issue a stay of execution in Smith's case, apparently evenly split on the issue after Justices Ginsburg, Breyer, Sotomayor and Kagan indicated earlier this year they would be in favor of granting a stay. An appeal to Alabama's governor asking for clemency on the same grounds also was denied.